This week we will start off by discussing the 9th Battle of the Isonzo, which would be the last major action on the Italian front for 1916. 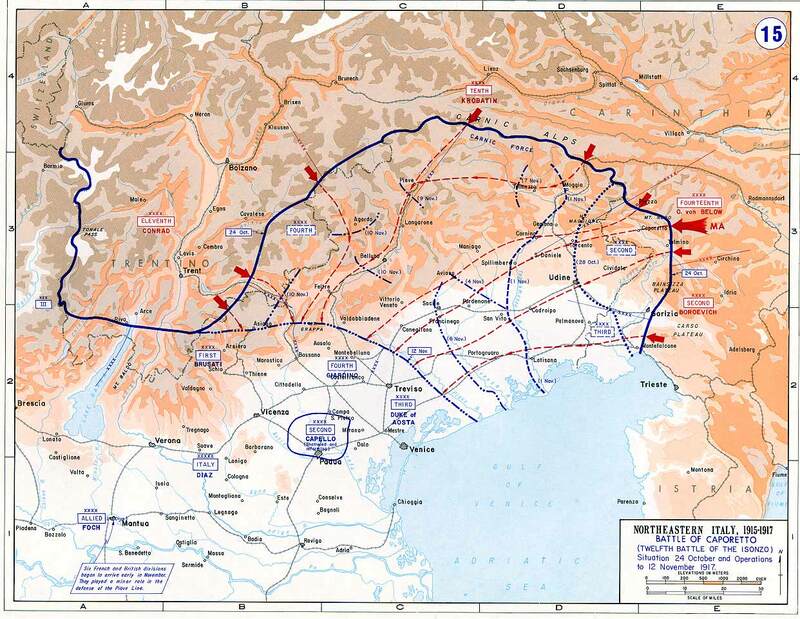 It had been a year of several offensives and this one would not look that much different than the previous 2 Italian attacks, however this time they would push the Austrians closer to the breaking point than they had all year. Borevic would put his literal last battalion of reserves into the line in a desperate attempt to stop the Italian advance from completely rupturing his front. The second half of this episode will take us off of the battlefield to focus on the situations away from the front during the winter of 1916/1917. This would be a time for rest and preparation at the front due to the fact that the weather would be too inhospitable for too much fighting and this allowed commanders for all armies to start planning for what they were going to do in 1917. We will put particular focus on two events during the winter, the first was the death of Austro-Hungarian Emperor Franz Joseph and his replacement by the much younger Archduke Karl. Then we will also take some time to discuss meetings between Italy and her allies as they planned for what would happen in early 1917, with the hottest topic being how much the British and French would help the Italians and what specific form that assistance would take. All of these conversations would set the stage for the battles of 1917 which we will begin to look at next episode. Hello everyone and welcome to History of the great War Episode 119. This week I would like to thank Kevin and Cory for choosing to support this podcast on Patreon. Because of there support they gain access to special Patreon only episodes. You will be getting a sneak peak into one of those episodes in just a few days as we kick off a four part series of episodes with an introduction episode that I will be releasing on this feed. Now, this introduction was supposed to be short, but then it ended up being 18 minutes long, woops. Anyway, stay tuned for that and you can find more information over at patreon.com/historyofthegreatwar. Also, I think last month was the first in over a year where the podcast did not receive any iTunes reviews, so if you are listening on iTunes and feel like helping out the show, a review is a great way to do so. This week we will start off by discussing the 9th Battle of the Isonzo, which would be the last major action on the Italian front for 1916. It had been a year of several offensives and this one would not look that much different than the previous 2 Italian attacks, however this time they would push the Austrians closer to the breaking point than they had all year. Borevic would put his literal last battalion of reserves into the line in a desperate attempt to stop the Italian advance from completely rupturing his front. The second half of this episode will take us off of the battlefield to focus on the situations away from the front during the winter of 1916/1917. This would be a time for rest and preparation at the front due to the fact that the weather would be too inhospitable for too much fighting and this allowed commanders for all armies to start planning for what they were going to do in 1917. We will put particular focus on two events during the winter, the first was the death of Austro-Hungarian Emperor Franz Joseph and his replacement by the much younger Archduke Karl. Then we will also take some time to discuss meetings between Italy and her allies as they planned for what would happen in early 1917, with the hottest topic being how much the British and French would help the Italians and what specific form that assistance would take. All of these conversations would set the stage for the battles of 1917 which we will begin to look at next episode. For the 9th Battle Cadorna's plan was to use almost 200,000 men and a lengthy preliminary barrage, this would also be in almost the exact same place as the 8th Battle. This allowed him to keep the guns in roughly the same area, making it easier to launch the attack, however it was not as easy as he hoped. The initial plan was to start the 9th battle almost immediately after the cancellation of the 8th battle however there were more problems than expected. Most of these issues revolved around the simple logistical problem of not being able to get enough supplies to the Italian gun lines and enough men to the front lines. There was simply a maximum throughput capacity that could not be exceeded by the Italians. Because of this fact the movement of so many replacements and shells would take some time which delayed the opening of the attack longer than expected. Boroevic had a pretty good idea of what was about to happen, this intelligence was gained through the interrogation of Italian deserters. All of these deserters pointed to the Italians getting ready for one final attack before winter. With this information in hand the Austrians did what they had been doing all year. Workers were put back to work immediately to try and repair and reinforce the defenses. They had their work cut out for them since this attack would be the third which would fall on roughly the same area of the front and all of the defenses in this region had been hit very hard by those attacks and all of the artillery they involved. In many places the trenches had completely collapsed and dugouts had been filled with broken equipment and bodies or had simply caved in. With all of these works underway Boroevic was still nervous. The 8th battle had been the start of a worrying trend for the Austrians with large numbers of Empire troops surrendering to the Italians. This had never been too much of a problem before, no matter how hard the troops had been pushed they had always continued to fight hard, but if this was not going to the be case in the future the Austrians would have some serious problems. Also much like before previous battles Boroevic was once again fighting for reinforcements. After constantly requesting them he was given a single division. A single division against the Italians who were putting so many troops in the line that they had some divisions that occupied just 400 meters of the front which was a higher concentration than what was achieved by many of the armies on the titanic Western Front battles of 1916. The artillery fire would begin on October 25th but just line in the 8th battle fog was a problem. There was just no getting around the fact that at this time of year on the Isonzo the fog had a tendency to settle over the lines. It would life after just a day of heavy fog, but even just a day of fog would reduce the effectiveness of the artillery, I am sure the artillery commanders were glad to see it gone though. While the skies were clear the Italians would bring 1350 guns to bear, three times what the Austrians had at this point. These guns would fire until October 31st, at which point they would pause to allow for some Italian probing attacks to go forward. These probing attacks were becoming a standard feature of Italians attacks and were a way to both assess damage that the artillery was doing and also to probe for weak spots in the line for further attacks. After these probing efforts the artillery fire resumed. When this fire resumed it was what Cadorna called 'annihilation fire' with every single Italian gun and mortar concentrated on the Austro-Hungarian front line. All of this fire caused thousands of casualties, destroyed most of the front line trenches, and disabled most of the machine-gun emplacements. The assault would begin on November 1st on the northern end of the front just to the north of the Carso. Here a division and a half of Italian infantry attacked against just a single Austrian regiment. The casualties were high on both sides, but even after a full day of fighting the line still barely held together, just barely. On the norther Carso the Italians had more luck. Here the 45th Division was able to punch through the heavily outnumbered and overextended 28th division. This breakthrough would result in the Austrians being pushed back 3 kilometers and it meant that they lost many of their best positions on the northern Carso. With the loss of these men and positions the Austrians were once again in a desperate state. The attack had fallen hardest on the VII Corps, which was under the command of Archduke Joseph. By the time that the attack began he already been forced to commit most of his reserves to the line just to keep it manned, and he was forced to commit what he had left early in the day. This would handcuff him in terms of what he could do in response to further attacks. He did not have any troops to counter-attack with, or to put in the line to stabilize it, or to cover the withdrawal of his other troops if it came to that. By scrounging all of his men behind the front areas and stealing more men from those in the line that had not felt the brunt of the Italian attack he was able to get a force together which he hoped would be able to launch a counter attack. Unfortunately, as they were forming up for their attack they were spotted by the Italian artillery and fire rained down upon them. This would blunt the force of the attack and sow confusion among the units which made it difficult to properly coordinate the units for the attack. However, this did not prevent them from launching the counter attack and they were also joined by Austrian units all along the line, much like in previous attacks these counter attacks continued through the night as the Austrians tried to claw back into their previous positions. The Italian attacks continued on the next day, November the 2nd. Cadorna had held back a significant number of troops specifically for this second day of action and he would unleash them after another large artillery barrage. At this point there was once again no alternatives for the Austrians but to retreat and Boroevic ordered his commanders to begin to execute this fighting retreat. They continued this retreat until they reached their second major defensive line, which was not even that old at this point, and it would take them all day and into the night to reach these positions, with the Italians in pursuit the entire time. All that the exhausted defenders could now do was to turn and wait for the seemingly inevitable continuation of the attack on the next day. On November the 3rd the attack would continue, and once again the artillery would hit the Austrian positions early in the morning and then the infantry would go forward. As the attack progressed it became very clear that there was a focual point for these attacks, Hill 464. This hill was in the middle of the Austrian second line and it was a critical defensive position. Because of its location the fighting over the positions on the hill would be the most important of any on November the 3rd. The Italians attacked again and again, which forced Boroevic to send in his last reserves, but even with these extra troops the defenders would still be outnumbered up to 6 to 1. If the Italians were able to break through on 464 then it may have triggered another large retreat so Boroevic did not really have a choice. The battle would rage on the hill, at times in close hand to hand fighting with small units and junior officers making critical decisions as they continued without specific guidance from above and without the knowledge that the status of the entire front was hanging in the balance. Eventually the Austrians would launch a counter attack, with their attack resulting in close range combat with bayonets, knives, and even rocks being thrown, and this attack would finally cause the Italian commanders to doubt the situation. 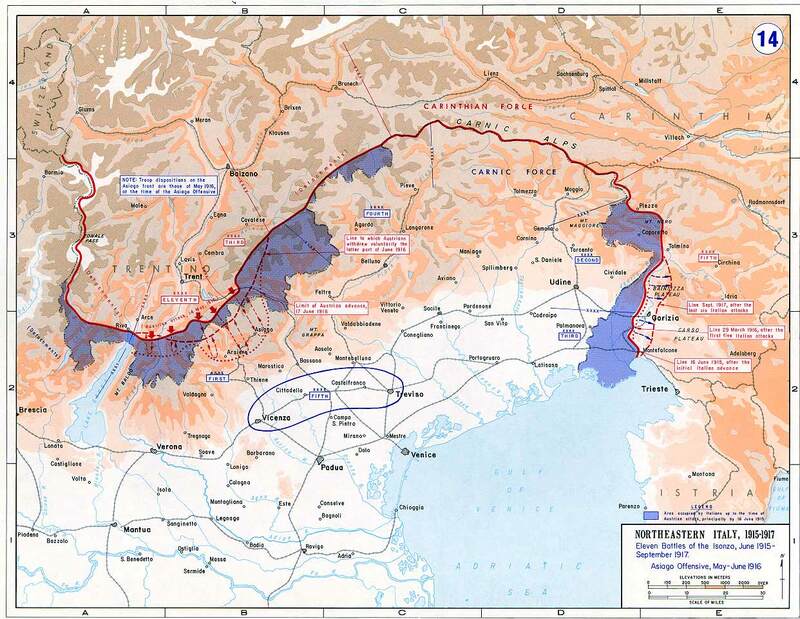 These seeds of doubt as to whether they could continue the attack filtered all the way up to Cadorna, which meant that he would ease off the gas peddle a bit and reduce the pressure on the Austrians. This gave the Austrians just enough time for reinforcements to arrive in the form of the 14th Divsiion, which would arrive over the course of the night from the Russian front. They would being to filter into the line on the Carso before the fighting resumed the next day. These would bolster the lines enough to reduce the threat of a true Italian breakthrough. There would be one more attack the next morning but this Italian effort would run into far more coordinated and concentrated defenders and the attack was repulsed. By the end of the day the attack was over, and both armies started to plan for winter. Overall, the Italians had lost another 39,000 men and the Austrians 33,000. This was the end of several months of almost constant fighting and during that time the Italians had made some territorial advances, but they had also been able to bring Austrian casualties almost to parity with their own. This was critical due to the Austrian manpower issues which even in 1916 were beginning to be a problem. They had suffered 130,000 casualties all told on the Isonzo over the course of three months of fighting, and that was a casualty rate which would be unsustainable. It was not all good news for the Italians though, and even if they were bringing the Austrian casualty numbers up they were still suffering many of them as well. This resulted in morale and discipline becoming a real issue, with more pressure put on it during 1917. A lieutenant who fought on the Carso in 1916 would do a good job at summarizing why the situation was so demoralizing for the troops at the front "It is not dying that is the demoralising thing, the thing that grinds you down. It is dying so uselessly, for nothing. This is not dying for the fatherland; it is dying for the stupidity of specific orders and the cowardice of specific commanding officers." While the major offensives were now over for the year and the armies got ready for winter the dying did not stop. The continued trickle of casualties came in many forms some from artillery fire, some from raiding activity, some from general shooting from time to time both by infantry weapons and artillery. However there was also a different vector for casualties, environmental issues. Environmental problems caused casualties on all fronts, however they took a different form in the mountains. For example on Mt. Rombon the Austrians suffered serious casualties due to a series of avalanches throughout the winter. As the weather began to drift into spring another issue began to crop up on both sides. Everybody knew that the coming spring would bring another set of attacks and many more casualties. For some units on both sides this became too much. The Ravenna brigade on the Italian side would mutiny in the early spring, which resulted in the unit being taken out of the line and decimated as a disciplinary measure, and I mean the literal definition of decimation with one out of every ten men being selected by lottery and killed. We will discuss the full preparations for the 1917 campaigns next episode. An event occurred on November 21, 1916 on the Austrian home front which would have ramifications which would be felt for the rest of the war. I thought that this event would fit well into our Italian issues since so much of our discussion of the Austrian war effort is focused around the Italian front. I am of course referring to the death of Emperor Franz Joseph. This was not a completely unexpected event, the emperor was old and had been suffering from a long bout of illness. He had been Emperor for a very long time, and really his reign had been a good one. He had been a unifying force in an Empire that had found itself in a series of divisive situations in the last decades of his reign, but he had held it all together. He would be suceeded by Emperor Karl the First, and he was very different than the late Emperor. He was much younger, at only 29 years old when he ascended to the throne and he was much more liberal. He also had a strong anti-war inclination and finally was married to an Italian with strong Entente sympathies. All of these facts would combine to mean that there were some changes that would come down the pipe in the empire in early 1917. For one Karl would reach out to the Entente to begin some very quiet discussions about a separate peace, these conversations would have been unthinkable under Franz Joseph. These peace discussions ran into problems pretty quickly , as we have discussed on a previous episode, however Karl entered into them with real hope that some sort of solution could be found. Another big change was in store for our old friend Conrad. Conrad had been trusted by Franz Joseph and the old emperor essentially assured that his military leader could not be replaced, however with Karl now in control Conrad was living on borrowed time. He would only stay in his position until March, at which point he would be replaced by General von Straussenberg who had the advantage of having worked closely with the Germans on the Russian and Romanian fronts. 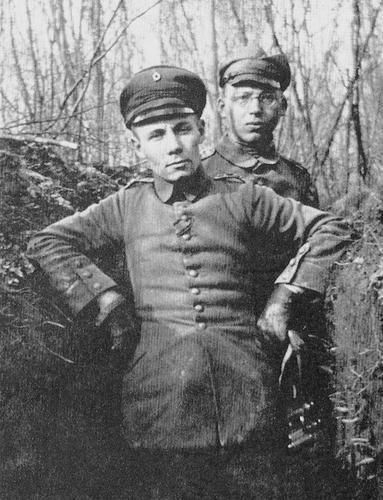 He was a competent commander but he possessed the most important skill for an Austrian general in the last two years of the war, he worked well with the Germans. This made the Germans happy, which was always good, but also made the entire Austrian war effort more efficient since they worked with the Germans so closely. While the winter was eventful back in Vienna it was also, as always a time for the Entente leadership to get together and to scheme and plan for the strategy that they would all enact during the next year. There were two meetings that would take place, the first was in November 1916 at Chantilly which would drive most of the action on the Western Front, which we will discuss in later episodes, and then the more important meeting for our purposes was one that was held in Rome in January 1917. The British Prime Minister Lloyd George would play a central role in this meeting and the plan that would develop early on during the discussions was one proposed by Cadorna and then supported by Lloyd George. This plan had one critical piece which was the lending of hundreds of artillery guns to the Italians from the British and French, guns that had to come from the Western Front. These would then be used for an early Spring offensive which would hopefully give the Italians some momentum to carry the attack forward. Cadorna also wanted troops, which would be just as hard to come by as the artillery. This proposal met heavy opposition from the French and British military representatives. Haig and Neville might disagree on some things but they certainly agreed that they did not want to support any plan that took resources away from their planned offensives on the Western Front. In many ways this is what Lloyd George wanted, this was just another move on the chessboard as he tried to reduce Haig's power and ability to dictate events. The artillery, and where it would come from and when, was the largest sticking point. The military leaders could be convinced with some guns, since there was little risk of them falling into Austrian hands or being destroyed, however they also wanted to get the guns back in time for their planned attacks later in the year. This seems like a reasonable compromise on the surface, however as soon as this condition began to be discussion Cadorna cooled on the entire idea, he did not want to have to sacrifice his operational freedom due to return dates. This would result in a reduction of the aid given to the Italians for the early 1917 attacks however there was still, critically, an agreement that if the Germans attacked the Italians then the other countries would send them aid. This became a real possibility in early 1917 as the Germans shortened their lines in the West with the retreat to the Hindenburg line and the situation in Russia. The Italians would also be given some heavy guns, but instead of the 300-400 that were initially proposed they would be getting just about 100 of them, which is something I guess, and I am sure they were glad to have them. While the Italian military was busy organizing all of these deals the Italian civilian leadership also took the opportunity, with leadership teams from France and Britain in town, to make sure that they were clear on what they expected out of the war. They had entered the war to take Trieste and the areas around it, they would not settle for anything less when it came time to negotiate, hopefully in 1917. All of these discussions would set the stage for the attacks of 1917, which would begin with the 10th battle of the Isonzo, which is where we will start next episode.